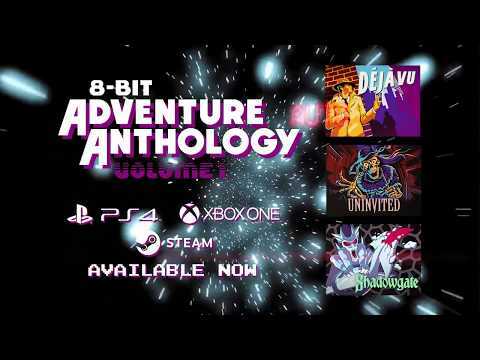 See 8-bit Adventure Anthology: Volume I in Action! ©1989-2017 Zojoi LLC ©1989-2017 KEMCOThe Uninvited is a trademark of Zojoi LLC. All Rights Reserved. ©1989-2017 Zojoi LLC ©1989-2017 KEMCODéjà Vu is a trademark of Zojoi LLC. All Rights Reserved. ©1988-2017 Zojoi LLC ©1988-2017 KEMCO8-bit Adventure Anthology, copyright © 2017 Abstraction Games B.V. Developed by Abstraction Games and General Arcade.